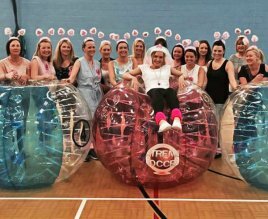 From transforming into CSI agents, to the toned and honed hunks of Adonis Cabaret, to a Gypsy Shrine Glitter Party - here’s to making some fabulous hen party memories. 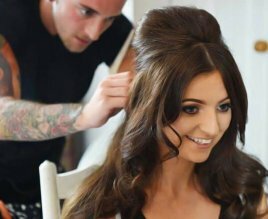 The city renowned for big hair and even bigger lashes is a hen do haven. Join the Geordie Shore crowd on your Newcastle weekend and enjoy a propa mint makeover from a team of professionals. Take your hen party into the skies, and mix with London’s elite and fashionable in Sky Pod Bar. 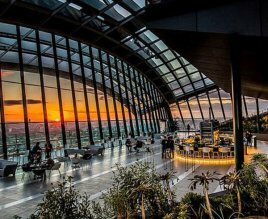 Make sure you’ve got a head for heights, as you’ll be nestled 150 feet in the air, on the 35th floor of the Walkie Talkie building. 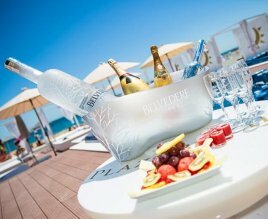 You can’t hit marvellous sun-kissed Marbs, without a trip to a beach club. Located in Europe’s most famous port, this glamorous and opulent palm tree lined club will have you and the girls feeling like superstars. Adonis Cabaret is the ultimate girls' night out. Dubbed the ‘hottest men in the country’ the lads of Adonis have sizzling dance moves and sensational strip shows, as well as comedy routines, gags, sing-a-longs and a hilarious Drag Queen compare. Roll up, roll up. 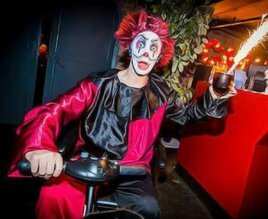 Combining a weird and whacky circus theme with the full nightclub experience, get ready to delve where no hen party has gone before. From the entrancing midnight LED performance and Circus themed staff, to the 1am balloon drop – this is clubbing with a difference. If you like your candy with a side of eye candy, indulge your sweet tooth twice over, with a Naked Chocolatier Party. Make, pipe, dip, decorate and drool all at the same time, as you make your own truffles, with the aid of two gorgeous semi-naked chocolatiers. 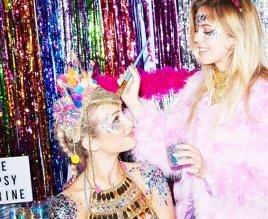 Make your hen party sparkle, as you flitter that glitter from head to toe in a Gypsy Shrine Glitter Party. You’ll whack on glittery, sparkly outfits as professional Gypsy Shrine artists cover you in body jewels and glitter, before you head to Menagerie Bar to sparkle all night long. 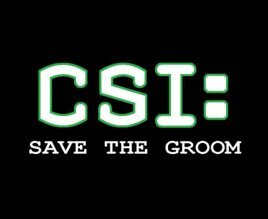 You and your mates can become fully-fledged members of CSI on your Dublin hen weekend, investigating your Groom-to-Be's kidnapping and saving the day by bringing him to safety. As an added incentive - in case saving him wasn't incentive enough - the winning team gets a bottle of prosecco for their troubles. The ‘City of Baths’ has your name written all over it. 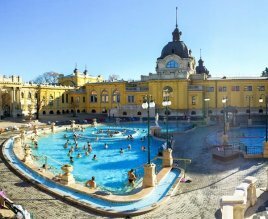 Indulge in thousands of litres of healing hot water, bubbling from deep underground; with 18 indoor and outdoor pools, 10 saunas and a steam cabin, you’ll never have felt so relaxed and rejuvenated. 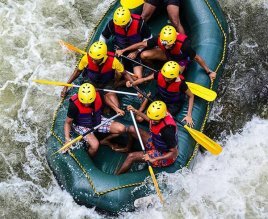 White water rafting is one for the adrenaline junkies. Closed off from the actual river, the epic 250 metre course pumps 16 cubic metres of water per second (that’s around 80 bath tubs, to you and me) – meaning you’ll be riding the rapids with some force. 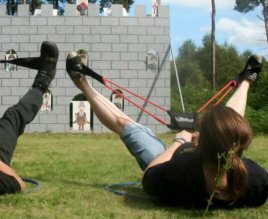 There’s nothing like a 5th century jape to get you in the hen party mood… especially in 150 acres of atmospheric Sherwood Forest itself. As far as games are concerned, we’re talking Friar Tuck’s Wheel, Trent Duel, Knock the Knights, Joust Mad, Witch’s Test, Sheriff’s Tax and Beggar’s Belief.